After spells with Paris St. Germain, Rangers SC, Real Sociedad, Everton and of course, five amazing years at Arsenal, Mikel Arteta has hung up his boots to take on a coaching coach under Pep Guardiola at Manchester City. From the moment he joined Arsenal in late 2011, Arteta became a positive influence on the team but he will always be remembered for the self sacrifice he made on behalf of his team when he curbed his attacking instincts to become the team’s holding midfielder following Alexandre Song’s departure to Barcelona. “Mikel has a huge influence even when he is not playing. He is super conscientious, and every morning two hours before training he prepares and that is absolutely right. “Just through his behaviour, his focus on getting everything right in the team, he has a huge influence. He has great experience and is respected throughout the squad. Arteta made 149 appearances for the Gunners and captained the team to two FA Cup titles in consecutive seasons. I can still remember how he urged then club captain, Thomas Vermaelen, to join him in lifting the 2014 FA Cup and it was evident that he was obviously the club’s leader, even though the band was handed to the Verminator. It was only befitting that Arsene Wenger gave him the armband on a permanent basis on the start of the 2014/15 campaign. Arteta’s last two campaigns as the club’s captain didn’t pan out too well for him on a personal note, as he struggled with injuries which probably played a big role in the midfielder deciding to hang his boots. He must have felt that his body couldn’t cope with the rigors of fast-paced Premier League football anymore. I am very happy for the lad because the experience he’s going to gain under the tutelage of a legendary manager like Guardiola would be invaluable. On the bright side, we would still get to see the lad and I’m sure he would get a great reception when the Citizens visit the Emirates in the course of the new season. Elsewhere, the official site has announced that there is going to be a novelty match between Arsenal Legends and Milan Glorie on September 3, 2016. Wenger would manage a team that would feature Arsenal legends like Robert Pires, Freddie Ljungberg, Thierry Henry, Dennis Bergkamp and pretty much some of the invincibles and 98′ / 02′ double winning lot. He would face off against an AC Milan team managed by Fabio Capello, who won four Serie A titles and the UEFA Champions League for the Rossoneri. The team is going to include the likes of Paolo Maldini, Franco Baresi, Christian Vieri, Hernan Crespo and Gennaro Gattuso. 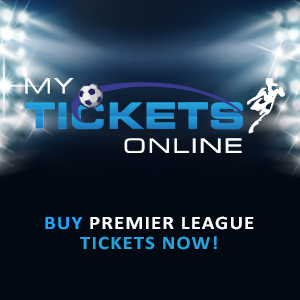 All proceeds from ticketing would go to the Arsenal Foundation and it would be used to make the world a better place. For folks like me that are miles away in Nigeria, I would put the date on my calendar and brace myself up for a wonderful game of football. Arsenal and AC Milan have had their clashes in the past with the Rossoneri edging out the Gunners a couple of seasons ago. There’s a lot to love about Mikel Arteta – the fact that he left Everton, a club he had served for six years, to leave for North London on transfer deadline day in 2011, the fact that he curbed his attacking instincts following the sale of Alex Song to become Arsenal’s holding midfielder, his amazing hair that ALWAYS remains in place even if puts it in every place known to man, his nice accent that sounds like some bullfighter from San Sebastian in Spain, him accepting his place behind Francis Coquelin in the team and the fact that he’s the No. 1 citizen at the club. Arteta is the embodiment of every Arsenal at the moment and under his leadership, the Gunners have lifted two Community Shields and two FA Cups. At 33, the Spaniard is reaching his twilight years and he has been an inspiring presence off the pitch, rather than on it. His last appearance for the Gunners, which also was his 144th, didn’t pan out too well on a cold November night as he suffered the ignominy of scoring an own goal in Arsenal’s defeat to West Brom at the Hawthorns. In that same game, Arteta suffered a recurrence of a calf injury that had sidelined him for a considerable chunk of the 2014/15 season. After spending close to two months out recuperating from his injury, Arteta featured for Steve Gatting’s Under-21 side in their win against Blackburn Under-21s. Arteta played alongside some rather familiar young faces as the Gunners team featured the likes of Alex Iwobi, Dan Crowley, Kyzrtian Bielik, Chris Willock and the guy we expect great things from, Jeff Reine-Adelaide. The Gunners captain played for 45 minutes before he was replaced by Ismael Bennacer. A full breakdown of the match report can be found here. Having Arteta available for selection is welcome news, because the Gunners are desperately short of numbers in the middle of the park. Arsene Wenger’s side has been without long-term absentees Jack Wilshere and Tomas Rosicky for a while now, and they were joined in the treatment table by Francis Coquelin and Santi Cazorla. Mathieu Flamini is another central midfielder that has had his fitness problems recently and while we await the imminent arrival of Mohamed Elneny from FC Basel, having Arteta fit again is good news. The Sunderland game might be too soon for him but I expect him to get some minutes under his belt when the Gunners visit Anfield. 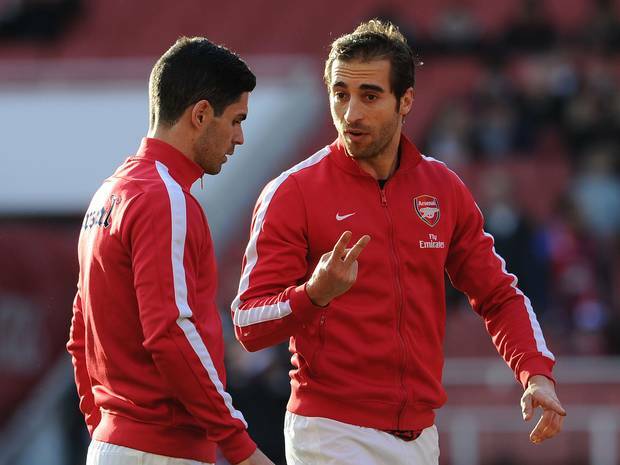 Arteta’s New Contract + Flamini Out = New Defensive Midfielder? With his breathtaking performances last season, Francis Coquelin showed the fans what they’ve missed for a long while and the general consensus is that the club should invest in another holding midfielder with names like Arturo Vidal, Morgan Schneiderlin and William Carvalho mentioned. Dave Seager of One Nil Down Two One Up published an insightful article on the defensive midfielder conundrum. Trust me it’s worth a read. What do we know about this puzzling defensive midfield issue? The Mirror reported that club captain, Mikel Arteta, has finally put pen to paper on a contract extension and agreeing verbally a couple of months ago. It’s been also reported that Arteta, 33, had some lucrative offers from Spain but he chose to remain with the Gunners. Injuries robbed Arteta last season and it ultimately cost him his place in the side because I don’t see him usurping Le Coq in that holding midfield role. However, Arteta’s extension was probably an indication that Wenger was satisfied with his options in that playing position and hopes of signing a new holding midfielder would have been slim to none but with the latest news from EuroSport France reporting that Ligue 1 outfit, SC Bastia, is interested in acquiring the services of Mathieu Flamini, there could be some hope in getting a new DM after all. SC Bastia finished in a modest 12th position in the French Ligue 1 last season. They were shocked by lower division side, Quevily, in the Round of 32 of the Coupe de France. However, they enjoyed a fairytale run in the Coupe de la Ligue where they went all the way to the final of the competition, beating sides like Auxerre, Caen, Rennes and Monaco, only to be thrashed resoundingly by PSG. There might be a potential constraint with SC Bastia getting Flamini. The French club would want Arsenal to release the midfielder with one year left on his deal (same challenge Sao Paulo faced with Denilson Neves before Arsenal released him) and they would also need Flamini to take a significant wage cut because his salary at Arsenal is currently higher than any of the players on the club’s payroll, which also includes ex-Gunner, Sebastien Squillaci. Shortly after the Squid’s contract expired in 2013, he joined SC Bastia on a free contract and he has established himself as a first team regular for the club, making 63 appearances in the last two seasons and even scoring four goals. This is a player that has been on the books of clubs like Monaco, Lyon, Sevilla and Arsenal, so it’s glaring that he just wanted to continue playing competitive football, instead of looking for the greens like Sagna of his peers. If Flamini accepts for his contract to be terminated by Arsenal, as well as taking a wage cut to join SC Bastia, the Gunners would need to fill that slot with another player because Arteta cannot be relied upon to stay if should anything happen to Coquelin. Jack Wilshere and Aaron Ramsey have tried to play that role but we all know that they are better suited to the box-to-box role than playing as the anchor man. The ball will be on Flamini’s court and he’s have to decide whether he wants to remain at the fringes of the club for an additional year before leaving on a free transfer, or walking away from his contract and signing for a club that isn’t doing too badly in his native France. He started his career in Marseille some 12 years ago and it would be nice if he decides to make that move you know.